The sous-vide (French 'vacuum') is a cooking technique that maintains the integrity of the food when heated for long periods of time at relatively low temperatures. The food is cooked for a long time, sometimes more than 24 hours. The sous vide employs hermetically sealed plastic bags that are dipped in hot water well below boiling point (usually around 60°C). Sous-vide cooking supposes the absence of oxygen in the ingredients that we are cooking. This cooking can be long or short, depending on the ingredients and the technique that you want to apply. The two fundamental variables are: temperature and time. We can cook to preserve and get longer expirations. You can also cook Sous Vide to get a certain texture that is only achieved by maintaining a certain product at constant temperature. This temperature is determined by the organoleptic qualities of the food. With the Sous Vide we can also make certain infusions of some particular flavor or aroma. Sous Vide cooking requires controlling two variables: temperature and time. 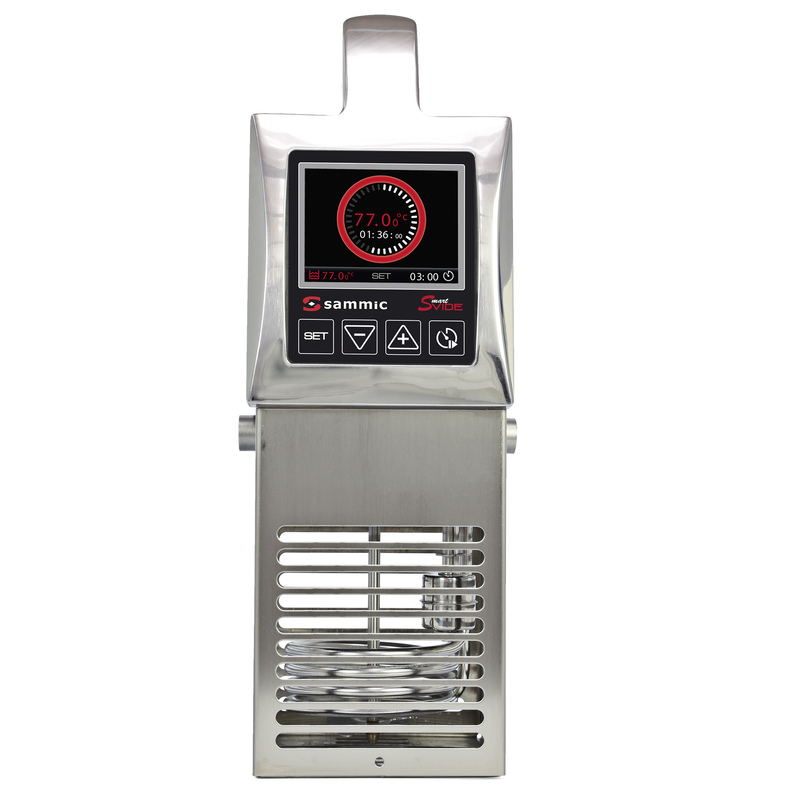 In Sous Vide vacuum cooking systems we can find recipes or elaborations that are done quickly and practically and they seek to be able to make accurate cooking in a direct way. In this case, what the cook looks for is a practical implementation to their elaborations and it seeks the maximum possible flavor in its recipe. The sources of heat, depending on what they are and on what they are used for, can cause damage in our raw material, resulting in a dry and overcooked ingredient or out of its optimum point of cooking. Sous Vide allows us to achieve a perfect cooking, which provides a higher added value to one elaboration, to the interior of the product, giving us the opportunity to regenerate the ingredient to get so many nuances in the elaboration. Who is Sous Vide aimed at? Originally used in haute cuisine, it is a technique that is becoming popular and is gaining popularity in all fields of gastronomy, including the popular dining. 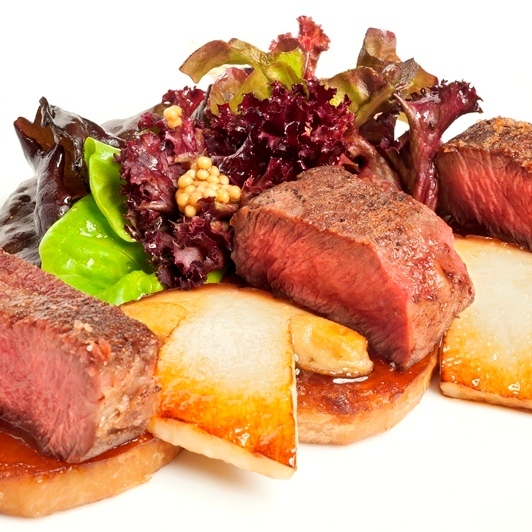 Cooking Sous-Vide brings advantages to different types of users and in different areas (economic, organization ...), so it is a technique suitable for any area of gastronomy. 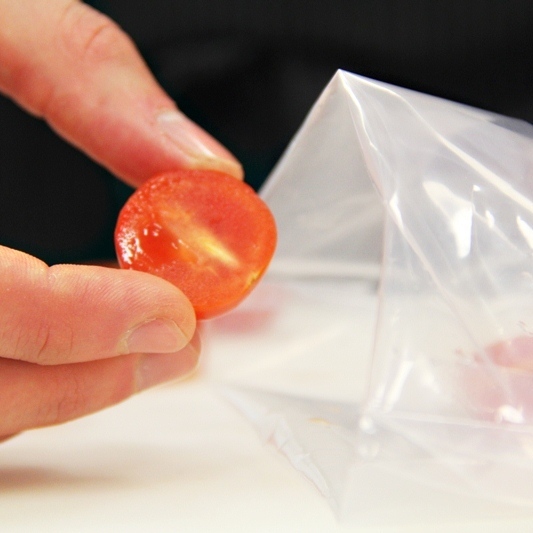 Sous Vide Cooking: vacuum packed food is cooked in the same sealed bag and blast chilled in the same bag (unless it is going to be consumed immediately). 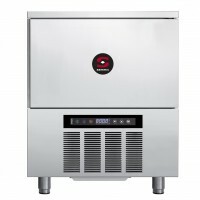 One of the most important points in this technique is to lower the risk temperature quickly, for which a blast chiller is recommended. Sous Vide Preservation: Traditionially cooked food is cooled and vacuum packed for preservation purpose. For example: stew.